Amid all the Ant-Man denials and uncertain Tintin sequel news, there is one blockbuster franchise property that Simon Pegg will definitely be returning to. 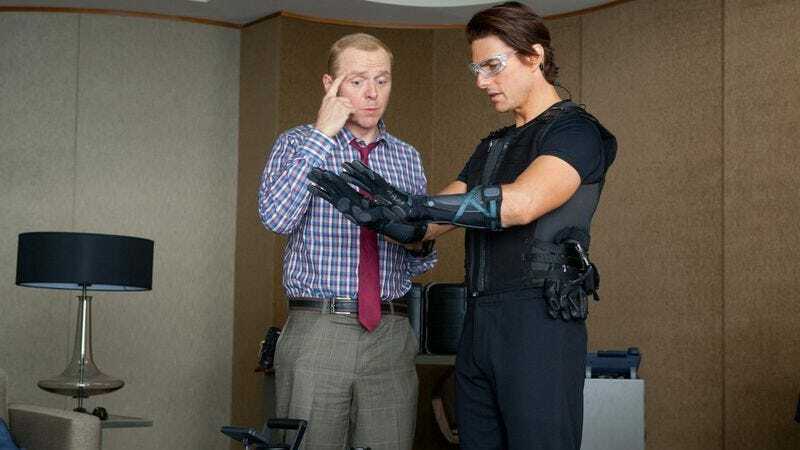 In a video interview (alongside Nick Frost) with MTV News, Pegg confirmed he will reprise his role as IMF agent Benji Dunn in Mission: Impossible 5, a character he first played in Mission: Impossible III, then again in 2011’s Ghost Protocol. As previously reported, Christopher McQuarrie (Jack Reacher) will direct the fifth film in the espionage franchise, with shooting scheduled to begin in February—since Tom Cruise has so many other projects to get to after that.